What is a Department Root? A Department Root is a special kind of folder which allows a site to be hierarchically organized into several content domains for organizational units. Department Roots hold several properties which are inherited to their child objects. 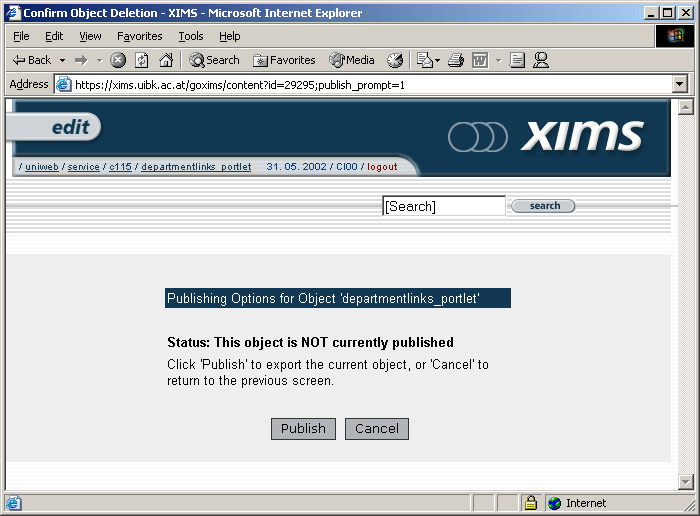 Such properties include the department's portlets, a department-specific image or -stylesheet to be used for displaying the published objects. The following screenshot shows an example of how Department Links, a Department Image and the Department Title can be used in in the published version of a Department Root. All three properties are present on each published child object of the department. Create a folder with links that should be used for department-wide navigation and publish it. 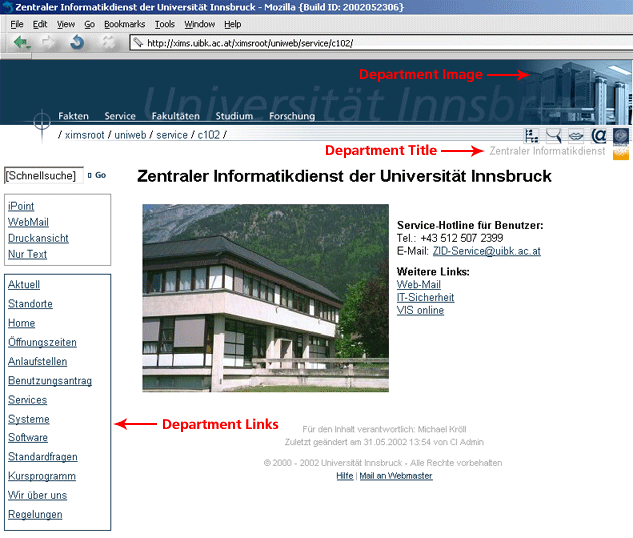 Create links in the departmentlinks folder. Publish the departmentlinks folder and with it the links it contains. 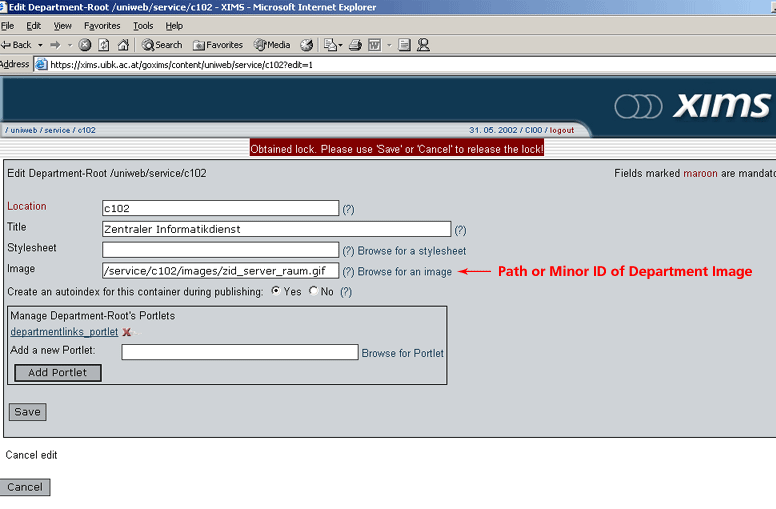 Create a portlet called departmentlinks_portlet on that folder and publish it. 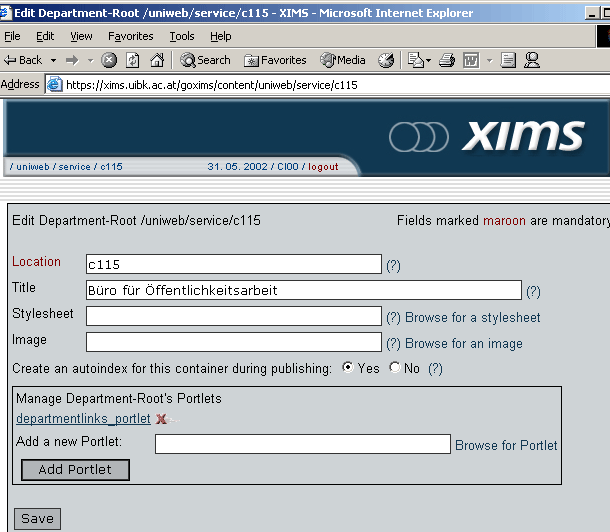 The portlet has to be called departmentlinks_portlet! The field Abstract has to be clicked on! 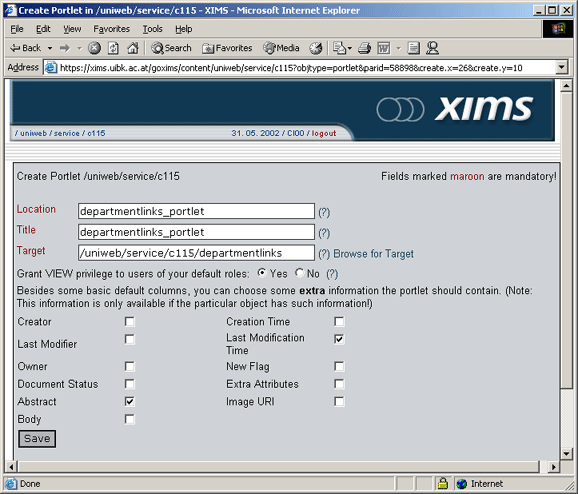 Assign the portlet to the Department Root and publish it. 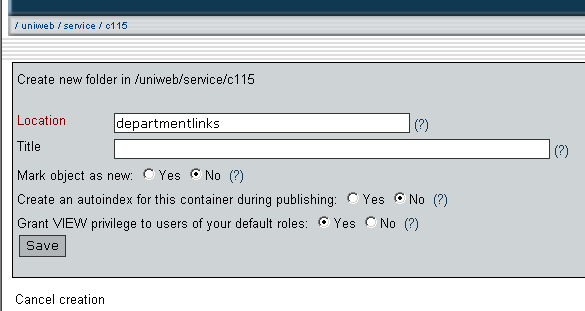 Add the departmentlink-portlet to the Department Root's portlets. Finally, (re)publish the Department Root. Like a Department Stylesheet, a Department Image can be used to emphasize the individuality of the department's web-presence apart from a default look and feel. 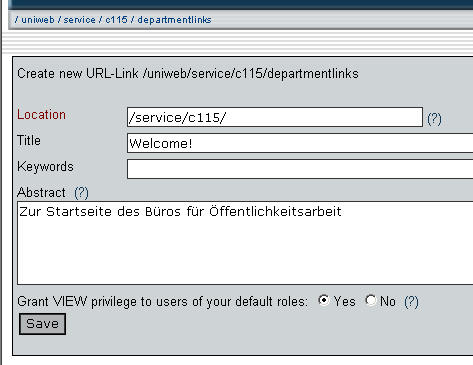 You can assign a Department Image by filling in the appropiate field in the "Edit Department Root" dialogue.